VocaParty: Members of Zola Project revealed, release date confirmed. 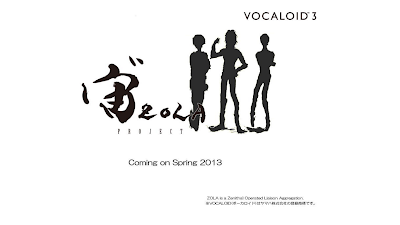 Members of Zola Project revealed, release date confirmed. As per revealed by Yamaha a month ago, they updated their site with more teasers! Please refer to our first post regarding ZOLA Project here. Here's some update to it! This trio will be released during Spring of 2013. Some info regarding the three characters have been announced on a magazine 「VOCALOIDを楽しもうvol 10」(Let's Enjoy Vocaloid vol.10).